DONALD MCDOUGALL was born in Scotland and came to Prince Edward Island, where he married a local girl sometime before 1857. Their two oldest sons appear to have been born in Souris in 1858 and 1860. MARY JANE LANDLING, wife of Donald McDougall, was born on Prince Edward Island in about 1835. Her heritage was Irish but it is unclear if her parents were born in Ireland or on Prince Edward Island. Her surname is found only on her son Peter's marriage record in 1902. The surname Landling does not appear in PEI records but the name Landrigan does. There is a Patrick Landrigan, b. 1815 in Ireland, a farmer in Lot 61 (Kings), PEI in 1881, but his wife, A. Mary Landrigan, 52, is too young to have been Mary Jane's mother. Other Landrigans might be Mary Jane's brothers but it is impossible to prove one way or the other at this time. Angus McDougall was born, according to family memory, on April 14, 1858 in Souris, PEI, but in the 1881 census, at age 23, he was living with his mother and siblings on the opposite end of Prince Edward Island from Souris. That would, however, agree with a birth year of 1858 and his tombstone reads 1858-1937, but his grandson Harold claimed he was 85 when he died and census records give dates of birth varying from 1853 to 1857. In 1881, his occupation was listed as fisherman. He emigrated to the U. S. in 1886. At 31, on October 2, 1890 (which would give him a birth year of 1859) in St. Joseph's Catholic Church, Old Town, ME, he married ELIZABETH ARSENAULT. One of the witnesses was his sister, Mary Jane McDougall. There are two records of this, in the list of marriages at St. Joseph's and in the Old Town vital records. They differ slightly, the vital records being more complete. In both his parents were given as Donald and Mary Jane. In the vital records, Angus's profession was listed as carpenter. His father was born in Scotland and his mother on Prince Edward Island. Angus worked in various New England mill towns, engaged in the construction of paper mills as a carpenter and millwright. Between 1893 and 1895 he was in Orono, ME, between 1900 and 1902 in Rumford, and after 1902 in New Hampshire. He started work at the mill in Millinocket November 5, 1908, where he was pulp mill foreman. The entire family moved there in June 1909. ELIZABETH ARSENAULT was the daughter of DENNIS ARSENAULT and JENNIE (FITZGERALD?). Her tombstone says she was born in 1867, as does her death certificate, but census records indicate that she was born in March 1869 on Prince Edward Island and her marriage record says she was 21, which also gives her a birth year of 1869. The record of her marriage from St. Joseph's church lists her parents' names as Denis and Jessie Arsenault. The Old Town vital records give their names as Dennis and Jeannie, both born on Prince Edward Island. 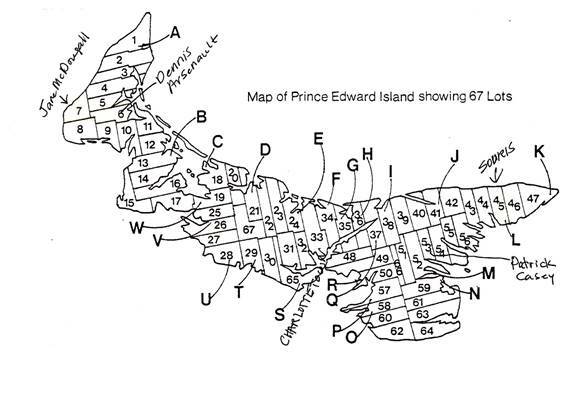 The most likely candidate to be Elizabeth's father, Dennis Arsenault, is listed in the 1891 census for Canada in Lot 6, District 134, a farmer and a Roman Catholic. His age is given as 60 (b.c.1831). Living with him are his wife Jane, age 60, daughters Sarah J. (23) and Emeline (21), and Frederick Arsenault, age 4, who appears to be his grandson. This family does not turn up in other census records unless Dennis is the Dennis Arsenault, age 82 (born March 1829) in the 1911 census for Lot 6 District 140, but his wife in that listing is named May (or Mary), age 79 (b. May 1832). The name Fitzgerald for Dennis Arsenault's wife comes from Elizabeth's death certificate, but that incorrectly gives her father's name as Charles Ashley and says he was born in Maine. According to the 1900 census, both Angus and Elizabeth came to the U.S. in 1886. By 1900 they had been married eleven years and Elizabeth had given birth to five children, four of whom were living. Angus McDougall was living with his son Clayton at the time of the 1930 census. He died November 16, 1937 in Millinocket, ME and is buried there. His age on his death certificate is recorded as "about 80 years." At the time of her death, Elizabeth had been confined in the Bangor State Hospital for twenty years and ten months. She died there on June 25, 1945. She was buried in Millinocket, ME. boarding with the family were Samuel and Grace F. Goff, ages 22 and 21, and their ten month old daughter Inez. Samuel was a bartender. Harold James McDougall, b. March 10, 1900, Rumford, ME; d. March 31, 1975, Millinocket, ME. Matthew McDougall was born May 12, 1863 on Prince Edward Island. 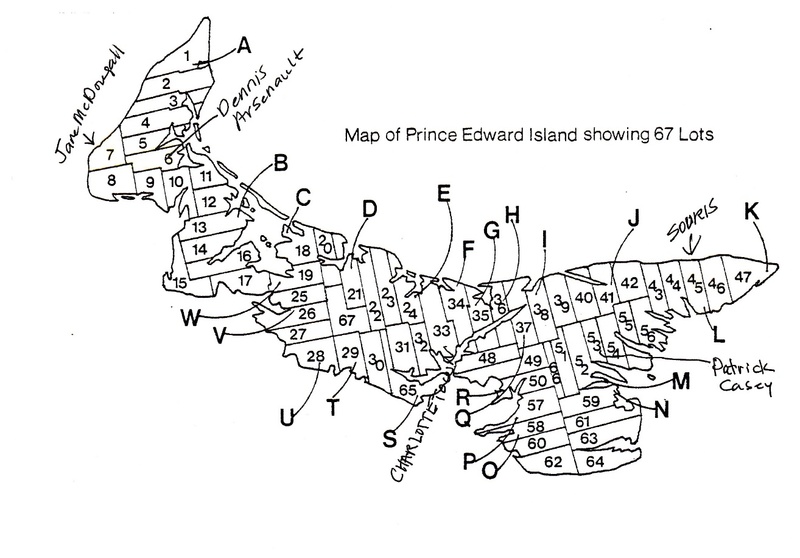 In the 1881 Canadian census he was living with his mother and employed as a farmer. Various U. S. census records have differing emigration dates: 1890 in 1910; 1888 in 1920; 1887 in 1930. In 1900 he and his younger brother Peter were in Eden, Hancock County, ME and boarding with their sister, Mary Casey, and her husband Patrick, as were several other unmarried men. In 1910 he was still in Eden and still single and is listed as Matthew M. McDougall, age 44. By 1912, when they are listed in the City Directory for Falmouth, ME, he had married a woman named Henrietta. By 1920, they were in Bar Harbor, ME, where his age is listed as 55 and hers as 48. She was born in Bavaria, Germany. Her year of emigration is given as 1892 in the 1930 census, also in Bar Harbor. In that year their surname is spelled Mcdougle. He worked as a gardener at a Bar Harbor estate. On their tombstones in Holy Redeemer Cemetery, Bar Harbor, ME, her dates are given as 1865-1934 and his as 1863-1935. He died May 08, 1935 in Bar Harbor. Information on his death certificate came from his nephew, John Casey, and contains several inaccuracies. It lists his father's name as Ambrose McDougall, says he was born May 12, 1856 and gives 38 years as the length of his residence in Bar Harbor (with his previous residence on PEI), which would make his emigration date 1897. Peter McDougall was born in about 1865 on Prince Edward Island. He was listed as "farmer's son" at age sixteen in the 1881 census, when he was still living with his mother. In 1900 he and his brother Matthew were boarders in the house of their sister, Mary Casey, in Eden, ME. On September 9, 1901, Peter married Mary's husband's sister, Mary Casey. He was 37. She was 36. Patrick Casey, Mary McDougall Casey, Peter McDougall, and Matthew McDougall are all listed as having come to the U.S. in 1887 in the 1900 census. Mary Jane McDougall was born in PEI in October 1866. She was in the U.S. by 1890, when she witnessed her brother Angus's marriage in 1890 in Old Town, ME. In 1891 she married Patrick Casey (b. January 14, 1869 in Georgetown, PEI according to birth records; December 1866 according to census records). They were living in living in Eden, ME by 1900 but by 1911 had moved back to King's District, Lot 53, where is family had come from. John F. Casey, b. Old Town March 3, 1892; d. Bar Harbor, ME March 17, 1954. CLAYTON H. BAYARD MCDOUGALL was born January 30, 1895 in Orono, ME, and died November 3, 1936 in Millinocket, ME. He married LENA V. CARRIGAN October 21, 1916 in Millinocket, ME, daughter of DANIEL and JENNIE CARRIGAN. She was born February 6, 1898, and died July 2, 1965. Both are buried in Millinocket, ME. Family records indicate that Clayton committed suicide. James C. McDougall, b. March 12, 1914; d. November 11, 1967. Listed as Colon P. McDougall in one census record. MARION A. MCDOUGALL was born March 7, 1898 in Berlin, NH. Her birth record lists her parents as Angus McDougal and Elizabeth Arsenault and gives her name as Marie Anna Elizabeth McDougal, her father's birthplace as Canada and his age as 38, and her mother's birthplace as Canada and her age as 29. Marion died at some point after December 1965 and is probably the Marie Moore who died May 7, 1981 in Sanford, ME at age 83. Marion married (1) FRANK L. YORK October 15, 1913 in Millinocket, ME, son of FRANK YORK and JULIA RHINEHART. He was born 1891 in New York, and died between 1920 and 1922. She married (2) LEWIS C. MOORE January 27, 1923 in Brewer, ME. He was born about 1869 and had been married twice before, first to Annie Closson on September 24, 1897 and second to Alda B. Moody on April 16, 1916. Marian A. McDougall is listed as Marie Ann McDougall in her daughter's obituary and as Mary A. McDougall on the record of her second marriage. At the time of the 1930 census she lived on Essex Street, Bangor. Mildred M. York, b. February 04, 1921; m. (unknown) HAZELETT; Mildred is listed as Mildred McDougall in the 1930 census. She was living with her uncle, Clayton McDougall, and may have been adopted by him. She also lived with her uncle, Harold McDougall for a time. HAROLD JAMES MCDOUGALL was born March 10, 1900 in Rumford, ME, and died March 31, 1975 in Millinocket, ME. He married JOSEPHINE M. WILLETTE January 17, 1921 in Millinocket, ME. She was born in 1904 and died July 25, 1980 in Millinocket, ME. They are both buried in Millinocket, ME. ALICE CATHERINE MCDOUGALL was born May 25, 1902 in Rumford Falls, ME and died December 30, 1989 in Farmington ME. She is buried in Good Will Cemetery, Hinckley, ME. She married 1) Leon Paradis on July 5, 1920 in Boston, MA (divorced). She married 2) Walter Hinckley on June 29, 1952 in Maine. One child: Ethel Catherine Paradis (1922-2007) who married W Merritt Emerson (1921-2009).